BridgeWell Capital is Charlotte’s #1 hard money lender for real estate investments. We work with investors, throughout the Tar Heel State, who need a fast, hassle-free source of capital to take advantage of investment opportunities as they become available. BridgeWell Capital professionals often finance investments in as little as 7 days; no matter your current credit, financial, or employment situation. If your investment makes sense and promises a solid profit margin, you can be approved for hard money financing. How is BridgeWell Capital Unique from Other Hard Money Lenders in Charlotte, NC? Consistent, Responsive and Reliable Service: Our clients love our service. We walk you through the entire process so you know exactly what to expect. If you have questions, your personal account executive is always available and ready to assist you. In fact, a strong percentage of our business comes from repeat customers. Simply put, once you’ve done business with BridgeWell Capital, you won’t want to go anywhere else for your real estate investment hard money loans. See our testimonials. Experience: With over 30 years of real estate investment experience, our management team sets industry standards, having successfully funded over USD$200MM in hard money loans for real estate investors. Support & Coaching: We strive to be more than just a source of private money for real estate investments. Our hard money loans are structured around win-win business relationships with our borrowers. We want you to be successful in your investments, so we provide you with all the support and real estate industry best practices you need to make smart investment decisions confidently. From rehab to rental, BridgeWell’s got you covered. Licensed Mortgage Lender: Unlike other hard money lenders in North Carolina, BridgeWell Capital is a fully-licensed and insured mortgage lender that’s A+ rated by the Better Business Bureau. 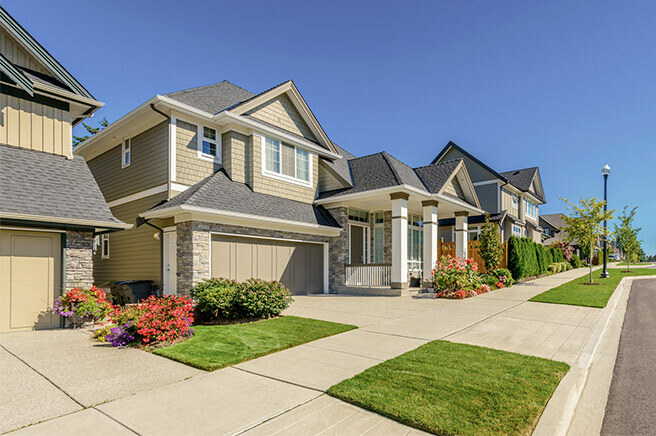 Wide Service Area: We provide hard money loans throughout the greater Charlotte metropolitan area, including but not limited to; Charlotte, Cornelius, Davidson, Fort Mill, Harrisburg, Huntersville, Indian Trail, Matthews, Mint Hill, Pineville, and Waxhaw. Whether you prefer to call it the Queen City or the Hornet’s Nest, it’s no secret the real estate market in Charlotte offers great investment opportunities. However, keeping up with the market and staying up-to-date with the current trends can lead to, not only smarter investment decisions, but ultimately, a more successful portfolio of investment properties. At BridgeWell Capital, we approve our hard money loans based on your ability to succeed, and the local market trends and indicators are one of the factors we encourage our borrowers to use to make smart investment decisions. According to a recent story in the Charlotte Business Journal, “Charlotte’s housing market has had a hot summer so far.” The article expands on a July 2015 report released by the Charlotte Regional Realtor Association. Home sales in the region jumped 16.9% in July from last year, and the average sales price in July increased 5.6% to $255,125 from 2014. The average list price in July 2015 ($274,811) increased 4.8% from July 2014. Preliminary pending-sales counts for July totaled 4,163, an increase of 17.9% from a year ago when pending contracts totaled 3,532. As well, the average number of days a property was on the market from the time it was listed until it closed was 114 days, down from 125 days last July. These are all indicators that Charlotte’s an attractive market for real estate investment, and give you an idea of what to look for in a potential market. For example, buying a residential property where home sales are rising and days on market are decreasing, or where school ratings are high, and crime rates are low, should translate into an easier more lucrative real estate investment project. For current trends in Charlotte’s real estate investment market you can visit Zillow.com or Trulia.com. Charlotte Real Estate Investor’s Alliance: Also known as Charlotte REIA, it is a Real Estate Investor Association based in Charlotte, NC for real estate investors and other real estate professionals dedicated to the highest level of professionalism and integrity. They meet on the first Thursday of each month at the Crowne Plaza Charlotte Executive Park. These events are free for members. There is a $3.00 fee for non-members. Metrolina Real Estate Investors Association: The mission of Metrolina REIA is to actively promote wealth building with real estate through education, networking, and mentoring. They meet the 3rd Thursday of every month at the Crowne Plaza Charlotte Executive Park. These events are free for members and $15 for non-members. Find the REIA that best fits your needs. The bottom line is, REIAs are a great place for real estate investors to grow their business and we highly encourage getting involved. A well built out knowledge base and support group can only help when it comes to your next real estate investment project. BridgeWell Capital is Charlotte’s #1 hard money lender for real estate investment in the North Carolina. Whether it’s rehab loans or investment for rental properties, BridgeWell Capital is the most trusted name in private money lending. If you need help financing your next commercial or residential real estate project contact us today! At BridgeWell Capital we’re committed to your success, and we are ready to become an integral part of your real estate investment team. For more information about our hard money loans in Charlotte, North Carolina, call us at 704-464-3000, or fill out our request funding form online and we will contact you within one (1) business day.